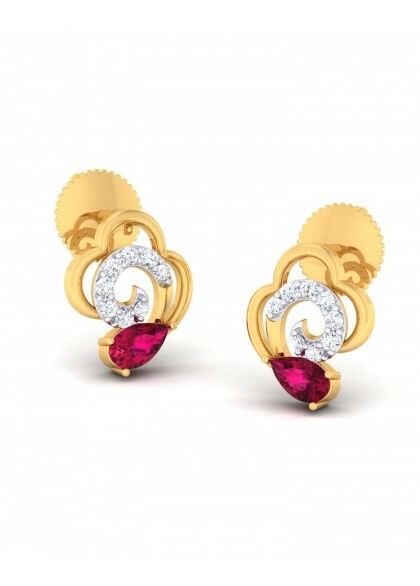 The diamond pendant is made of 18kt & 14kt gold and is studded with diamonds and ruby hydro stone. 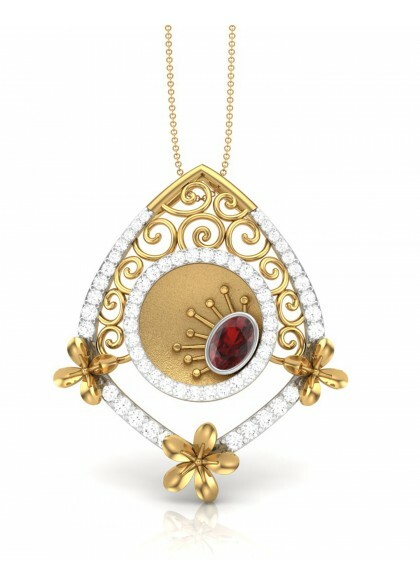 Handmade diamond pendant from the Ruby Collection is made by the finest craftsmen. 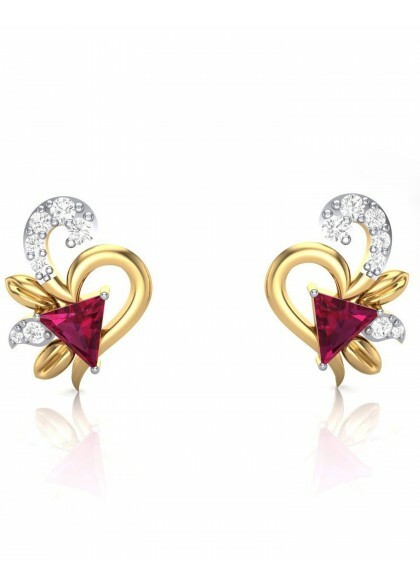 The pendant is a combination of gold, diamonds and ruby stone. The diamond pendant is perfect for you dinner party and wedding affairs. 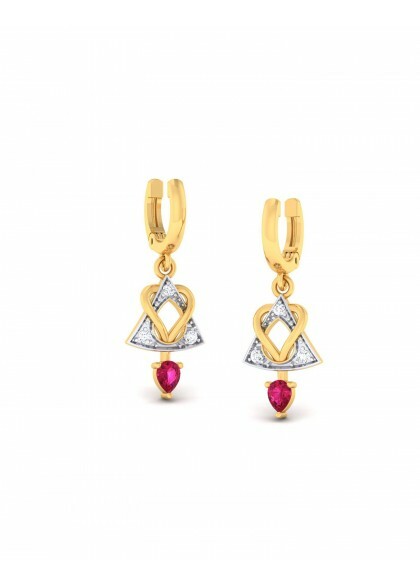 The diamond earrings are made of 18kt & 14kt gold and are studded with diamonds and ruby stone that resembles a right angl triangle.Handmade diamond earrings from Geometric. 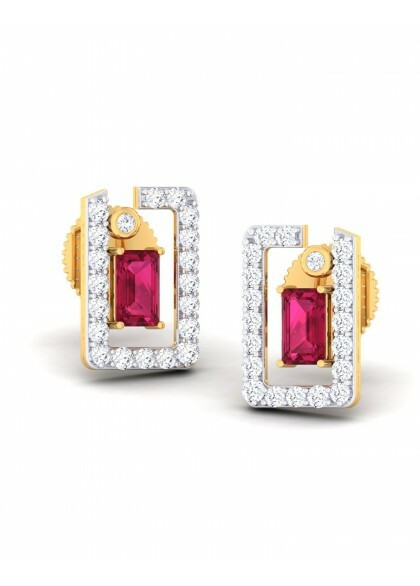 The diamond earrings are made of 18kt gold and are studded with diamonds and ruby stone. 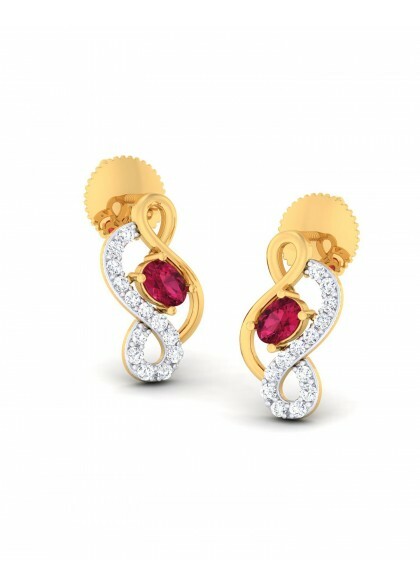 They have symbolise the musical note used for creating music.Handmade diamonds. 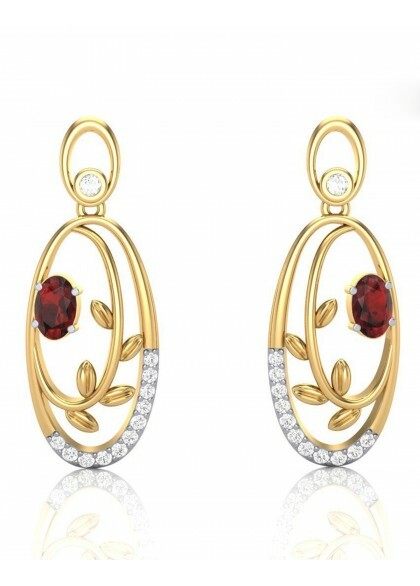 These earrings resemble a burning flame of diamonds.They are made with 18kt & 14kt yellow gold and natural diamonds.Handmade earrings from the Ruby collection is designed. 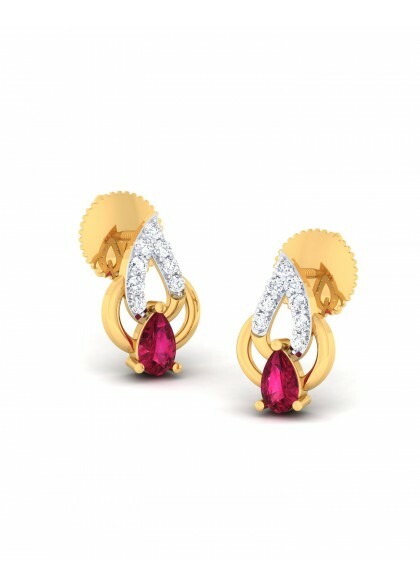 The diamond earrings are made of 18kt gold and are studded with diamonds and ruby stone. 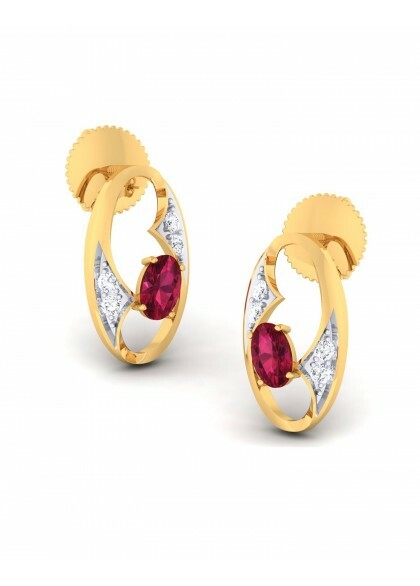 The shape of the diamond earrings resembles an oval.Handmade diamond. 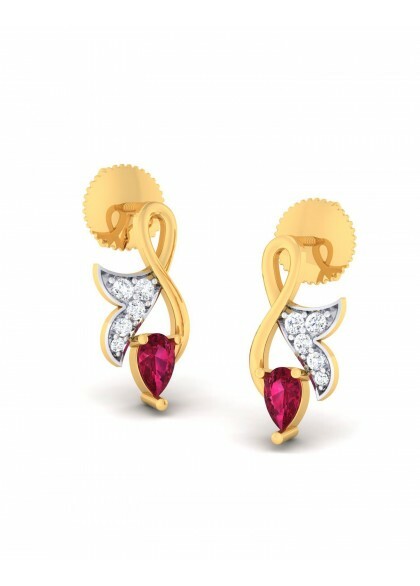 The diamond earrings are made of 18kt gold and are studded with diamonds and ruby stone. 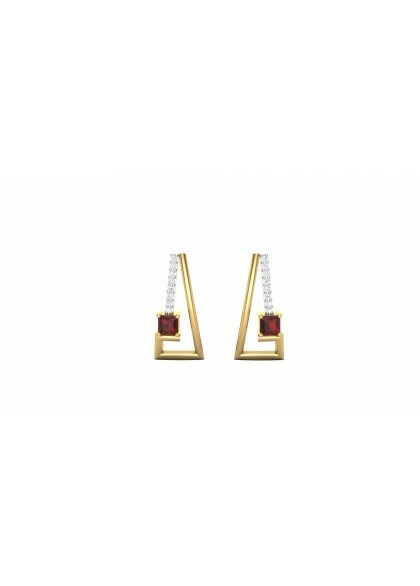 The shape of the diamond earrings resembles a cloud with ruby stone hanging from it.Handmade diamond earrings from the Ruby collection is desgined and made by the finest craftsmen. 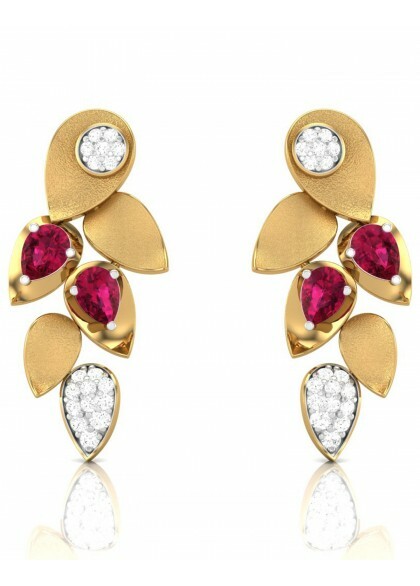 Earringsare a combination of Gold, Diamond and Ruby Hydro stone.